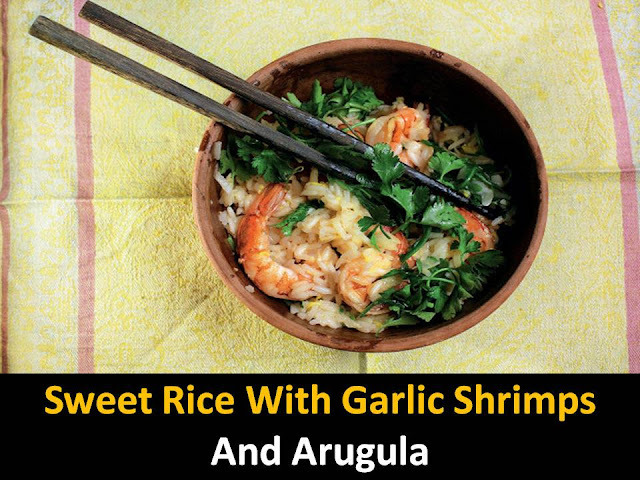 The delicious Sweet rice with garlic and shrimp arugula step by step recipe it's content 505 Caloric which is a very fat dish. #Step1 - Put jasmine rice in a separate saucepan Heat the wok, pour in sesame oil there and lightly fry the finely chopped garlic in it, in no case allowing over-cooking, and otherwise the garlic will be bitter. #Step2 - Squeeze two lemons in a wok, add fish sauce, sushi vinegar, sugar, and shrimp. Simmer it all until the broth from the juice, vinegar, and oil begins to boil vigorously; As soon as this happens, make the fire quieter. #Step3 - It is necessary to guess that by this time jasmine rice has been cooked by four-fifths of its full readiness and make it easy. Usually, they write on the package that this rice is cooked until fully cooked for fifteen to seventeen minutes. Therefore, it is necessary to boil it for about thirteen minutes. 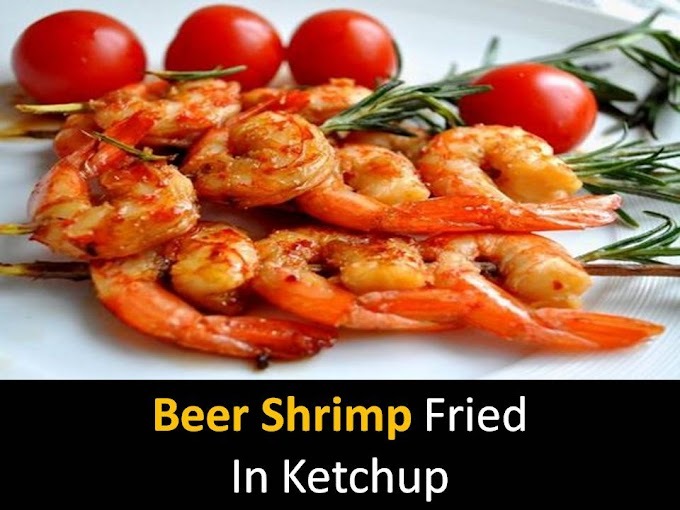 And try to have time to complete all the manipulations with the juice and shrimps during this time. #Step4 - In boiling broth, throw the arugula, cilantro and pour the rice along with the remaining water, if any Stir rice with shrimps and broth. Cover the pan with the lid, turn off the heat and let stand for another two or three minutes. During this time, the rice will reach the condition and soaked in sauce.